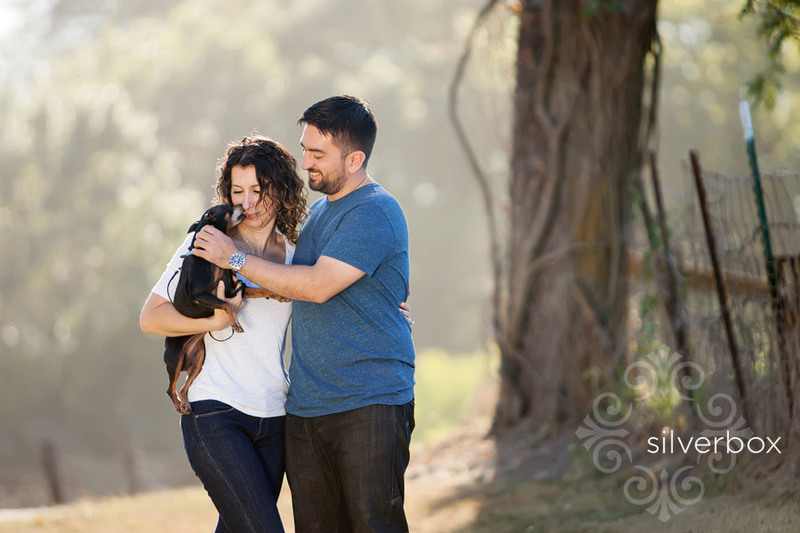 Catherine + Michael :: engaged! Driving back to Columbia after our photo shoot, Michael described a feeling of freedom and of creative, mental wandering that he experiences during road trips on his motorcycle. I LOVE that feeling! It struck me that we'd just had that kind of photo session: we left Columbia with a destination in mind (a friends' pond in rural Missouri) but we stopped along the way when the mood struck: to sit on a metal gate, lean against a hay bale, enjoy sunshine filtering through roadside trees (all while trying to avoid breathing in any more gravel dust than necessary!). He and Catherine wanted an engagement session that was less posing, more real. Pond, dock, paddle boat, road trip! I'm having a little "aha" here: is it possible that the picture isn't really the goal? The picture is just the by-product of (or the path to?) an EXPERIENCE. In other words, it's not "the picture" but rather "the EXPERIENCE" that we're really after. Yikes . . . where am I going with this? . . . not sure yet . . . Ok, here's a question: why do we make pictures? "Making a picture" gives us a chance to celebrate, look back, delve deeper . . . to FEEL something. Maybe making pictures (regardless of whether you're in front of or behind the camera) is just another way (like doing yoga or dancing or sitting in a duck blind or riding a motorcycle or . . .) that we figure out, that we EXPERIENCE, what is truly important. Like a relationship. I do like the thought that an engagement session is really an act of celebration (with pictures as by-products). And I sure do like the thought of celebrating Catherine + Michael. I'm so glad to know these two, so glad we got to take an e-session road trip together, and so glad to photograph their wedding next February. p.s. "Thank you thank you" to our friends, Betsy, John and Tony, who "lent" us their pond, dock and paddle boat. Wow, that pond is lovely! 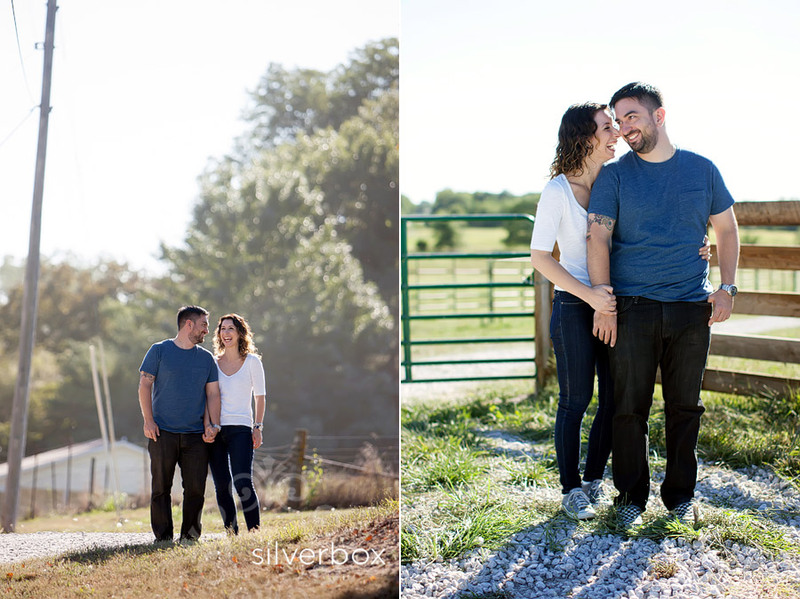 anne + wes :: engaged! Hannah :: 7 months old!